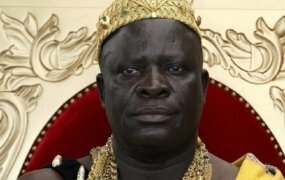 Bio: Dr. Nosakhere Griffin-EL is a graduated from University of Pittsburgh’s School of Education with a Ph.D. in Social and Comparative Analysis in Education. After graduating from the University of Pittsburgh, Dr. Griffin-EL worked as a youth leadership trainer for Coro Center for Civic Leadership and lecturer in entrepreneurial development at the University of Cape Town’s Graduate School of Business in Cape Town, South Africa. He is currently the founder of The Young Dreamers Book Club, which organizes story time events, creates educational content, and supports parents, community organizations, and educational institutions in selecting books that meet children’s holistic needs. As a child, I remember studying Dr. Martin Luther King Jr. only from one perspective — the man who had a dream. Without a deep understanding of Dr. King, I lacked the ability to apply some of his profound principles to my life. Years later as an adult, I read his autobiography and was amazed at the depth of his personhood. 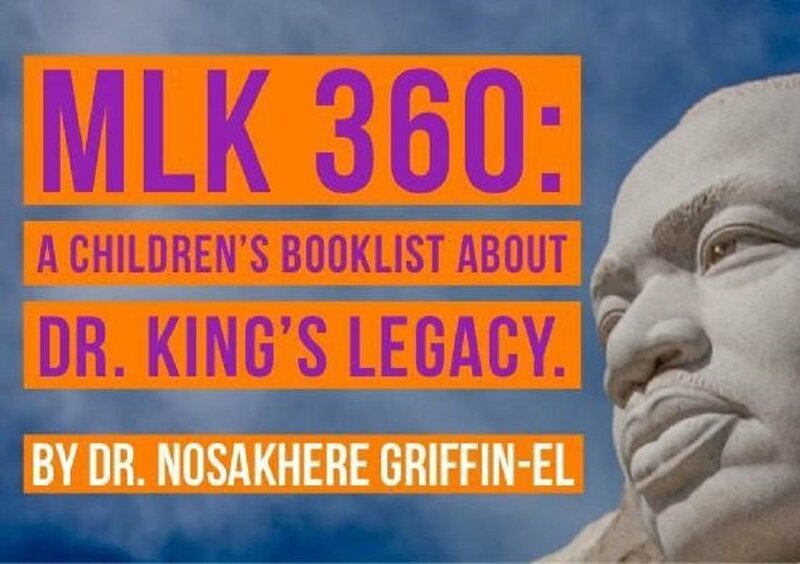 Out of this amazement, I created a book list that allows children to understand Dr. King’s life as a family member, activist, dreamer, and philosopher. Developing an understanding of these books has the potential for children to view themselves as having the power and potential to change the world. Reading these books provides caregivers, educators, and community members with the opportunity to facilitate rich conversations about the lessons from Dr. King’s life. Express an understanding of Dr.King’s dream. 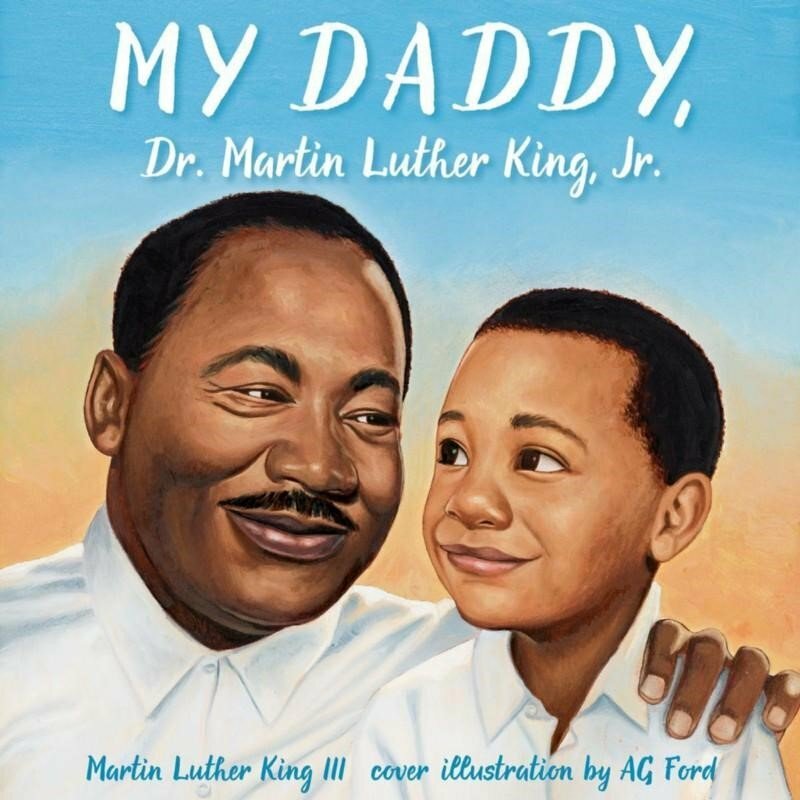 My Daddy Dr. Martin Luther King Jr. by Martin Luther King III is a biography of MLK written from the perspective of his son. The author provides a holistic perspective of Dr. King primarily as a loving father who was a civil rights leader. 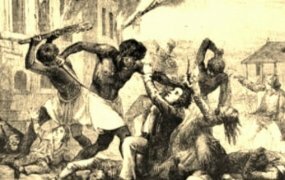 The author does an amazing job at showing the emotional impact his father’s protests, jailing, and victories had on himas a child. This book allows the reader to develop a great appreciation of thesacrifices Dr. King and his family made in the fight for justice forAfrican-Americans. 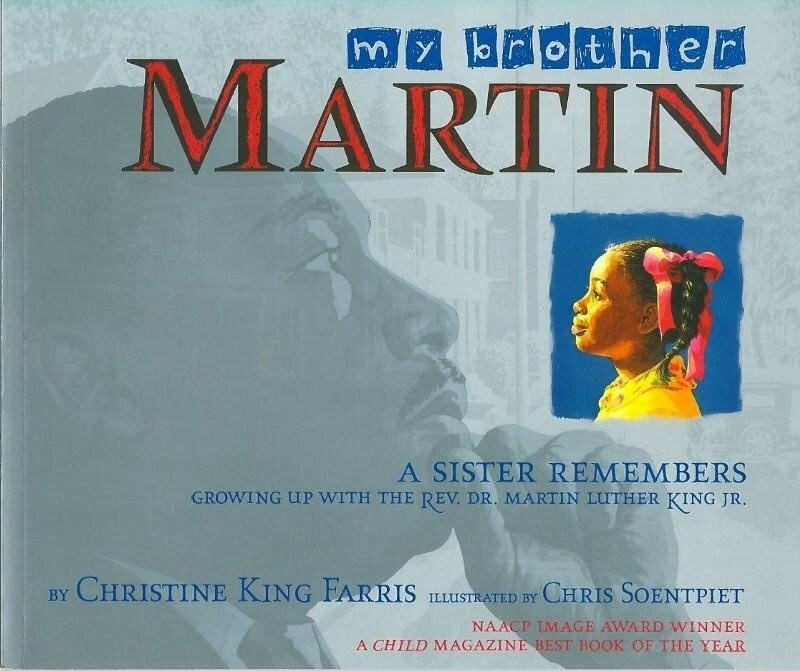 My Brother Martin by Christine King Farris is a must-read book. This book provides the reader with an inside look into Dr. King’s childhood. She provides us with the everyday childhood experiences andpeople who contributed to him becoming one of the world’s greatest leaders.This book is a tool to teach children that they have the power to transform theworld through their actions as adults. 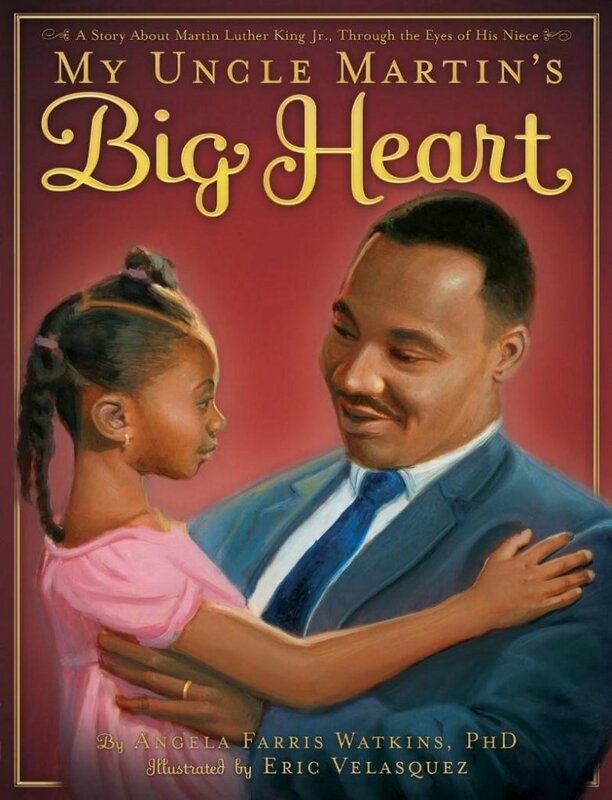 My Uncle Martin’s Big Heart by Angela Farris Watkins discusses biography about Dr. King. The book seamlessly integrates historical events with her personal perspectives of her uncle. 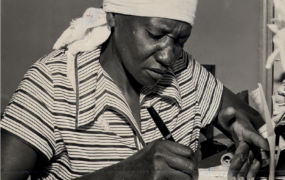 She does an amazing job providing the reader with a complete picture of the civil rights hero. This book allows readers to understand Dr. King as a man who valued family, had a sense of humor, and a deep desire to change the world. In sum, this book allows children to see Dr. King as an ordinary man who made extraordinarychange. I Have a Dream by Dr. Martin Luther King Jr. is an amazing book. The illustrator, Kadir Nelson, offers the reader with a chance to engage with Dr. King’s words, while being equally inspire by thebeautiful artwork. 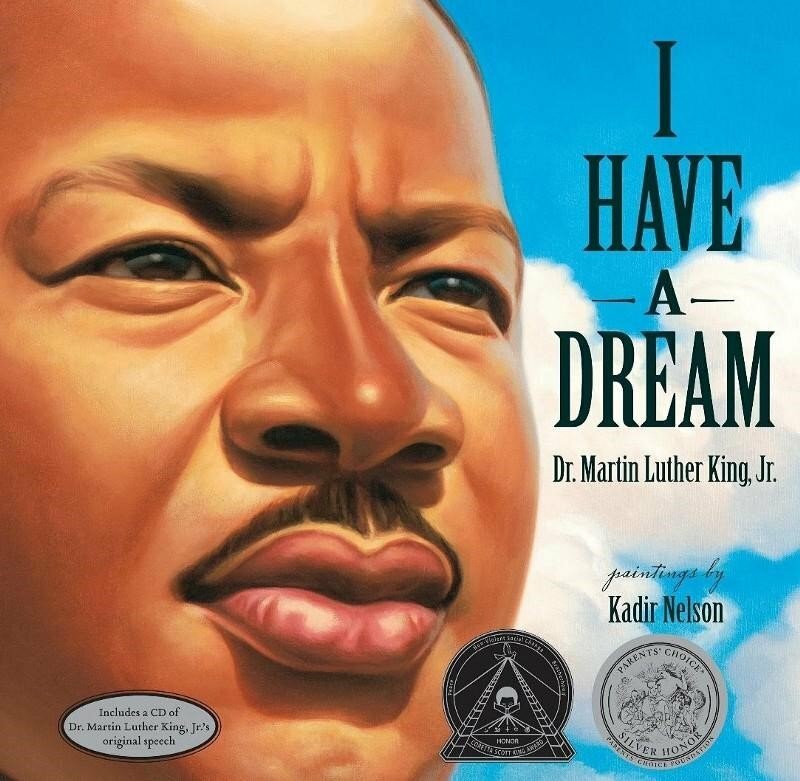 If you are an educator or parent trying to teach childrenabout the famous, I have a Dream Speech,then this book offers a different experience. 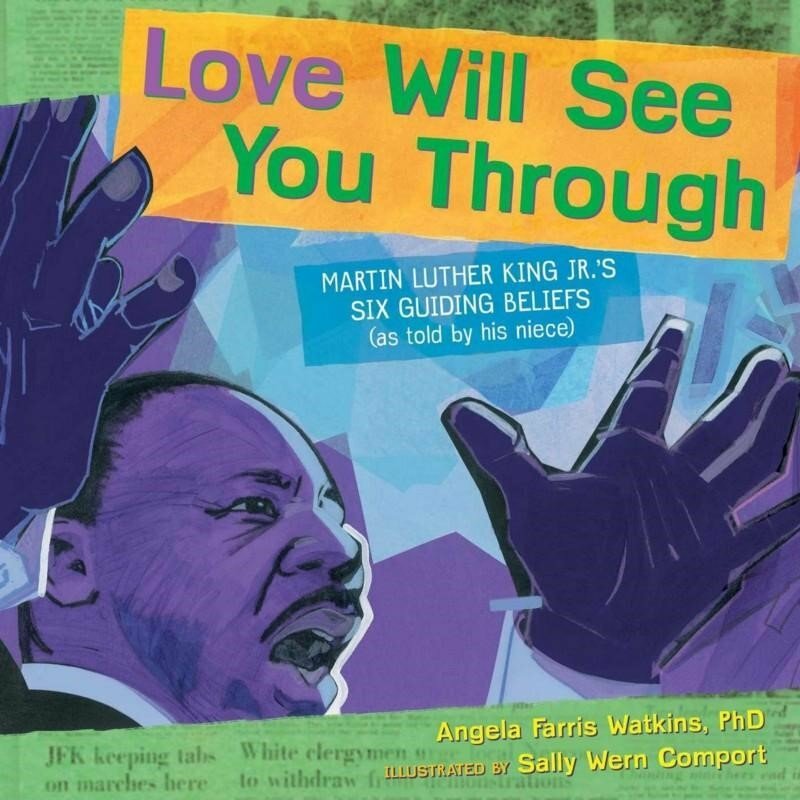 Love Will See You Through by Angela Farris Watkins is an introduction to Dr. King’s Philosophy of Love. The author defines the principles of his philosophy while using Dr. King’s experiences as illustrations of the aforementioned. This book teaches children how to non-violently resist oppression by using the powerful tool of love. Educators and parents can use this book to assist children in reimagining Dr. King’s philosophy based on their own livedexperiences. 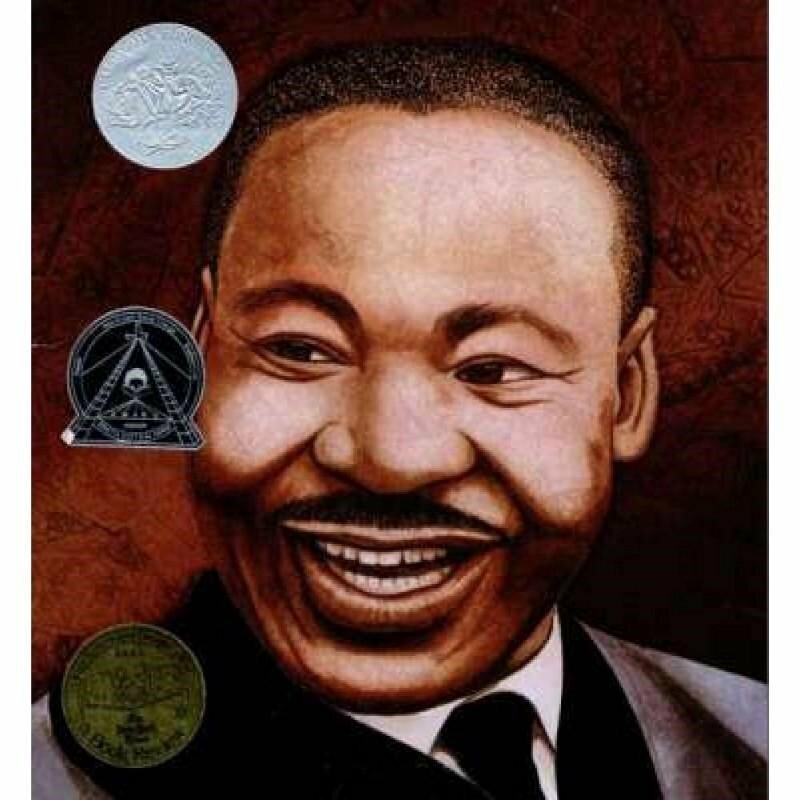 Martin’s Big Words by Doreen Rapport is a biography of the life of Dr. Martin Luther King Jr. The author uses quotes throughout Dr. King’s life to frame his development into one of the world’s greatest leaders. I especially love how the illustrations by Bryan Collier capture the power of each word in the book. This book provides children with an awesomeand simple introduction to Dr. King and his impact in the world. 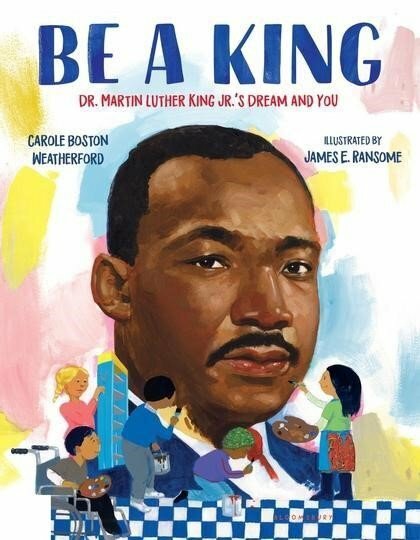 For parentsand educators, this book serves as a tool to teach children about theexperiences that contributed to Dr. King’s philosophy. This is a must-readbook! Be A King by Carole Boston Weatherford is a must-read book! The author does a wonderful job at communicating some of Dr. Martin Luther King’s core values in an easily digestible manner. Reading this book creates an opportunity for kids to think of ways they can resist unfair situations in their everyday lives. 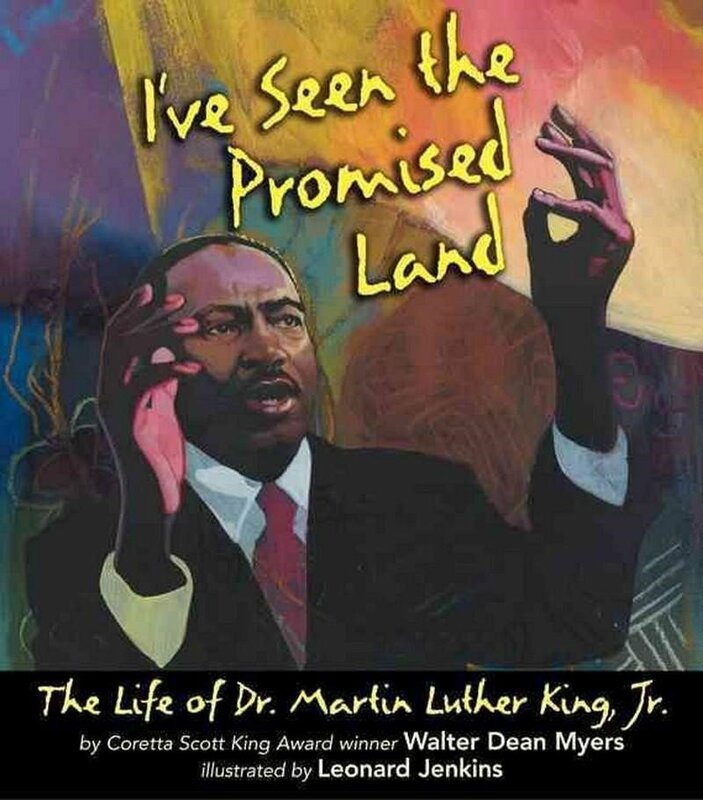 This book is a tool to teach kids they have the power and agency to make change just like Dr. King Jr.
I’ve Seen the Promised Land: The life of Dr.Martin Luther King, Jr. by Walter Dean Myers. This book portrays Dr. King as a heroic leader who stood against injustice and violence, while also sharing the pain and fear which he courageously pushed through to make a difference in society. Starting from his rise as a community leader of the Montgomery Bus Boycott, this book highlights several of his accomplishments and struggles in striving for justice. The book concludes with his “I See the Promised Land” speech right before his untimely death. This story is a great tool for teaching youth the power of standing up for what is right, and doing so with compassion for others, while also acknowledging how doing so can make you feel scared or hurt. The story also illustrates the power of perseverance, and how over time, one’s courage and creativity can make changes in the world. 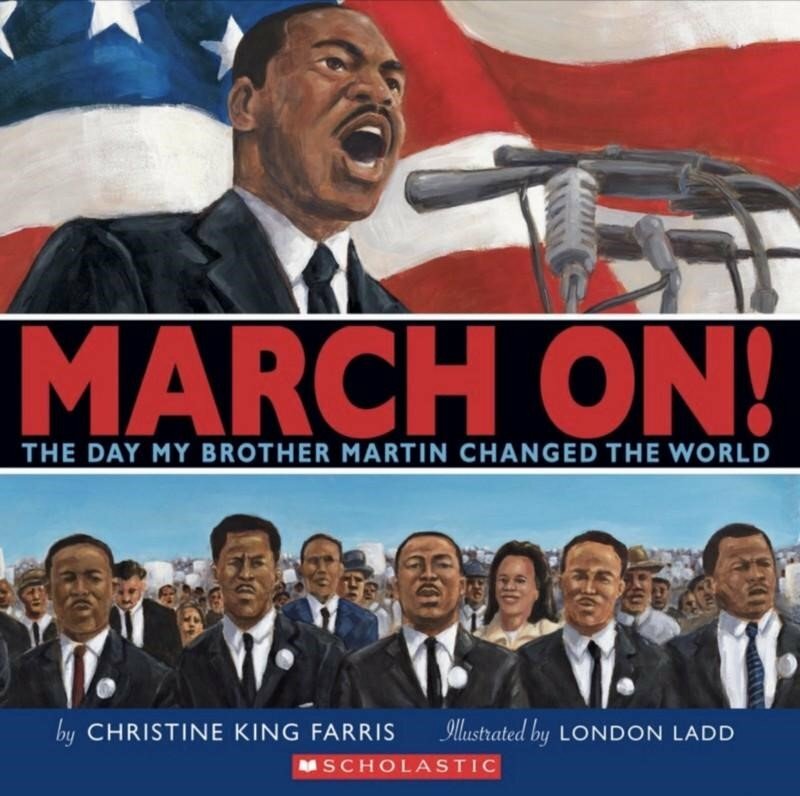 March On is a Christine King Farris biography about Dr. King’s famous March on Washington written from the perspective of his sister. 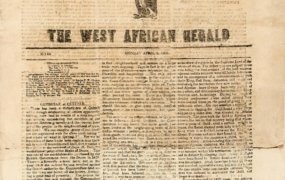 The author provides the reader with details of who Martin interacted with before and after the march, the values that drove Martin, and the role of songs in the protest. Reading this book will develop an awareness of how intentional Dr. King was with his words; he believed that his words had the power to inspire people to be hopeful during the struggle against racial oppression. This is a book that provides children with an understanding of the background work that led to the march that changed America. 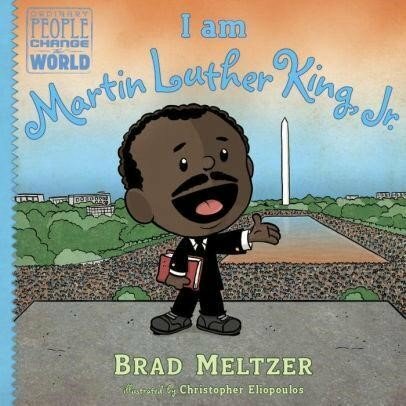 I am Martin Luther King Jr. by Brad Meltzer is a biography of the great civil rights hero. The book provides an overview of the life of Dr. King from childhood to the March on Washington. The story is written as if Dr. King is recapping important moments in his life. The book’s design integrates comic-strip dialogue into the story, which opens the door for parents to have in-depth conversations. I love how the book ends with a declaration that beautifully summarizes Dr. King’s life’s work. This is a must-read book for educators and parents who want to teach children about Dr. King’s work.